Planning to sweep your lady love off her feet? Then you have rightly arrived here. With this diamond pendant, carved in 18kt gold and studded with 0.2165 diamonds, you have a design marvel to gift wrap for her. 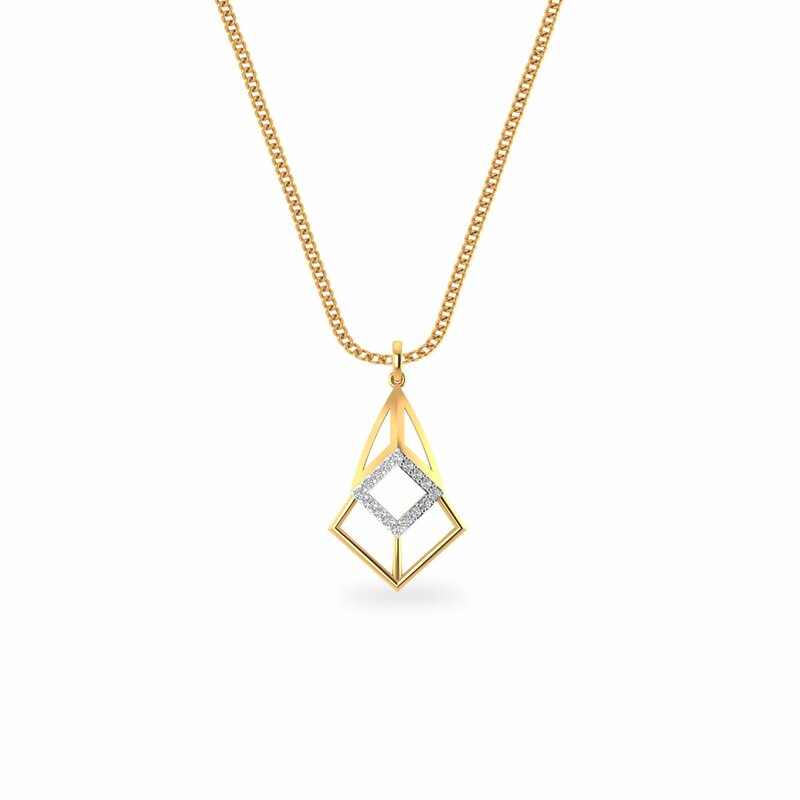 Especially the clean lines, the stunning pattern and yes, the attractive price point at which this diamond pendant is available, you have no excuse to say no. So, get it gift-wrapped now.